I am so honored to have the awesome Chrys Fey on my blog today. She is so cool and hard working . . . I take my hat off to her. Please, welcome Chrys. Research is an important part of writing a book, especially when you don’t know about a setting (time period), event, or career. 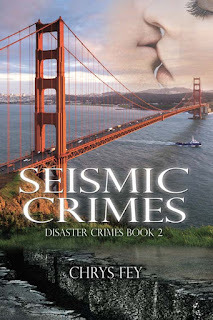 For Seismic Crimes, I did a lot of research and learned a lot of fascinating stuff. Below I am sharing some of that information. Monster trucks have massive tires, which are usually Terra tires, and about 4-link suspension to allow four feet of clearance when the truck moves over obstacles. The supercharged engines (575 cubic inches) run off methanol oil. The driver is usually positioned in the middle of the cab for full visibility behind a sheet of Lexan to protect the driver from flying debris. However, it’s not unheard of for a truck to have two seats. Every truck is equipped with at least three kill switches for safety precautions. There are also safety harnesses as well as head and neck restraints, and drivers wear fire suits and helmets. She nodded at the man beside her who was equipped with padding and a helmet. She turned her back to him, and he wrapped his arm around her neck, pressing a plastic knife to her throat. 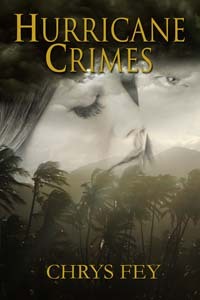 Her arms shot up, and she gripped his wrist with her hands, one on either side of his arm. Then her head shot back, butting the helmet. When her attacker stumbled, her hand fell, striking him in the groin. As he doubled over, her elbow rammed him in the ribs, and the back of her fist jabbed his face. Free from his hold, she spun away from him, while wrenching his arm, and slammed him into the ground. I’ll keep this brief, but I learned just how horrible a body smells and looks after its been left in water for days. Bloating, skin slippage, black veins and maggots…let’s just leave it at that. California is known as the Golden State, so it’s no wonder why the bridge that spans from San Francisco to Marin County is called the Golden Gate Bridge, although it’s really more of an orange color. This bridge is 1.7 miles long and can withstand winds of more than 100 mph. Earthquakes may only last about 40-45 seconds, but their impact can be deadly. Furniture can move or overturn, pictures and mirrors on the wall can fall, windows can break, buildings and chimneys can collapse, and power lines can fall down. FACT: 700 quakes rock the United States a year. 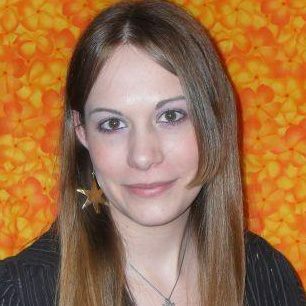 Chrys Fey is the author of Hurricane Crimes, Book One in the Disaster Crimes series, as well as these releases from The Wild Rose Press: 30 Seconds, Ghost of Death, and Witch of Death. She is an administrator for the Insecure Writer's Support Group and has participated in the Blogging from April A to Z Challenge. When Fey was six years old, she realized she wanted to be a writer by watching her mother pursue publication. At the age of twelve, she started writing her first novel, which flourished into a series she later rewrote at seventeen. Fey lives in Florida and is always on the lookout for hurricanes. She has four adopted cats who keep her entertained with their antics, and three nephews who keep her entertained with their antics. You can connect with her on Facebook, Twitter, and through her blog, Write with Fey. She loves to get to know her readers! I'm enjoying your tour Chrys. Learning something new from each visit. Thanks Murees for supporting Chrys. She's fab and her work ethic inspirational! Have a great week. Congrats on the release, Chrys. I never realized there were so many earthquakes each year, that's a lot. Your research sounds like it was fun. Thank you, Mason. Yes, a lot of quakes...baby quakes, at least. I'll never get the appeal of monster trucks, but someone must enjoy them. A lot of people enjoy them. As for Donovan, he likes the adrenaline. Best of luck to Chrys. I've read her stories and they're pretty awesome. You are amazing Chrys. I don't know if I could do that mush research. I find that I'm too lazy. Oh goodness... That's not a smell I ever need to experience. Chrys, I'm thinking that was above and beyond your duty. Well, I didn't actually smell it myself but learned about the smell. Monster trucks and the tricks they can do was a really fun thing to research. The research is what makes Chrys' books so realistic. You can picture the scenes as they happen from her descriptions.